MUMBAI, OCT 14, 2016: Six German delegates in top leadership positions back home, stepped out of their comfort zone, to experience the simple life of the poor in India, through a homestay experience. Government officials, bankers, public relations officials, Non-Governmental Organisation (NGO) leaders from Germany were among those, paired together, to live with families in Pune for three days and nights. Ulrich Fechter-Escamilla from Exposure and Dialogue Programme, Susan Franke and Sabina Weinstock from Don Bosco Mondo, Peter Hoppe from the German Fedral Ministry for Economic Cooperation and Development (BMZ), Joachim Nagel from KfW Group and Cordula Rinsche from Deginvest were the German participants of the programme in India from October 2-8. "They swept and mopped the floor with me, washed the vessels, tried their hand at making chapattis and other meals, came shopping with me. They lived like our family members," Alka Pandit, a host family, said. The families were chosen from among the students of Don Bosco Industrial Training Institute, Chinchwad that provides vocational training to underprivileged youth. They were briefed that no special treatment was to be given to the guests. 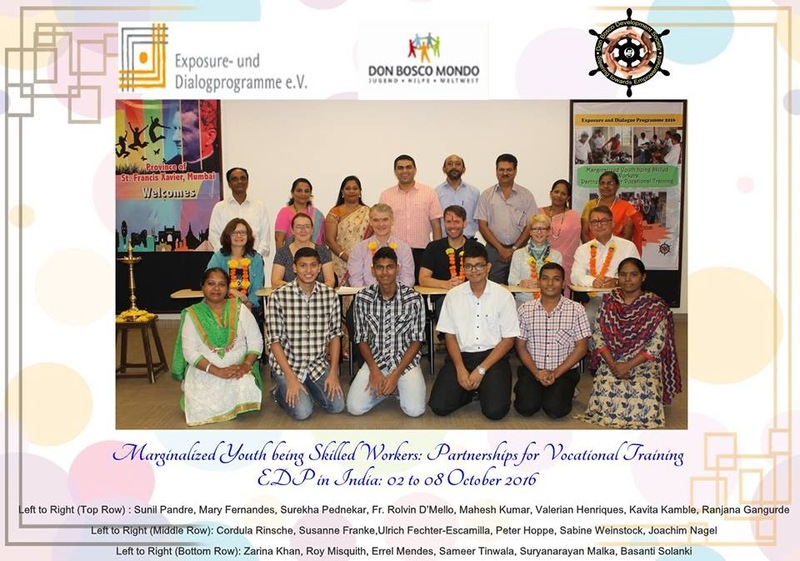 "EDP Organisation Germany and Don Bosco Mondo, Germany joint hands with the Don Bosco Development Society (DBDS), Mumbai for skill training. 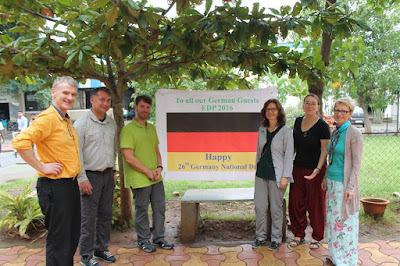 The aim of this venture was to bring about policy changes in the German Federal Ministry and hence the officials responsible for this came down from Germany to India and stayed with the students from Don Bosco Chinchwad," Fr. Rolvin D'Mello (Executive Dir. - Don Bosco Development Society) said. "They experienced their lives and their world so that they could have a better idea of the grass root situation while making funding policies for India and other developing countries." DBDS raises funds for societal development initiatives of the Salesians in the Mumbai province. Don Bosco Chinchwad and DBDS, were the local organisers of this homestay experience called the Exposure and Dialogue Programmes (EDP) – run globally by a German NGO by the same name. Don Bosco Mondo – a German partner of the programme - acts as a middleman between European companies and Don Bosco institutions, mobilising support for them in India to overcome skill shortage and fight poverty among lesser-privileged youth. 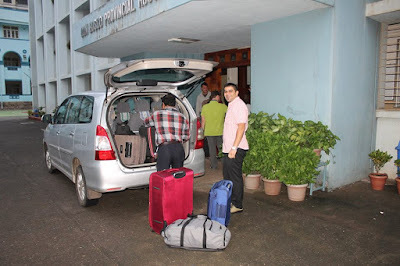 After their experience with the host families, the foreign delegates returned to Don Bosco Chinchwad. They then reflected and ideated on ways to better assist poor students and devised mechanisms to help them. 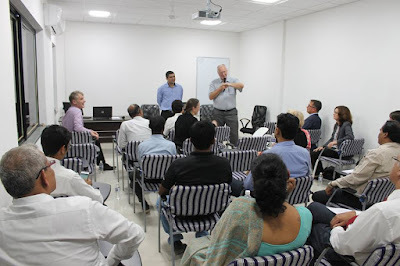 Following the 'exposure' and 'reflection' part of the programme, the 'dialogue' session began between Don Bosco institutions like DBDS, Don Bosco Chinchwad, their corporate partners like Mercedes Benz, SKF, Lorch, Sandvik Asia, Indo- German Chamber of Commerce, Knorr-Bremse and the German delegates. They engaged in an experience-sharing session through a panel discussion. The German delegates informed the corporates how their funding helps students and what could be done to better their situation. It was highlighted that good trainers to teach students at the vocational centre were hard to find, as most prefer working for corporates at a higher-pay packet. They suggested that an increase in remuneration and encouragement of retired teachers to join the initiative would be a way to solve the issue. It was also stressed that the media should be used to reach out to more people in a bid to create awareness about Don Bosco Chinchwad and its work, so there would be additional investment. "The German delegates told the corporates present to employ the students and not just contract them, after experiencing their lifestyle first-hand, " Father Corlis Gonsalves, Rector- Don Bosco Chinchwad, said. "The German participants swing into Action back in Germany by influencing policies within the scope of their field. Media participants of the programme publicise the policy in the media, bankers encourage their banks to give low-interest loans for schemes helping the poor get quality vocational education in India, government officials influence policy makers by creating awareness through their stories back in India." "The result has been an increase in the flow of finances from German corporations to Don Bosco institutions working with the poor," Ulrich Fechter-Escamilla, from EDP – also a participant of the programme - said. EDP is now in its fourth year in India. The tie-up between German companies Lorch and Knorr-Bremse with Don Bosco Chinchwad for skill training has been an outcome of the past editions of the EDP. The German government has supported this initiative through Don Bosco Mondo for two reasons: "The prestige of the Salesian work in the area of social development is very high in Germany and on the other hand India is giving business to German companies. Germany is an export-oriented economy. It cannot survive if it does not have markets where it can put its products," Fechter-Escamilla added. Several German companies have a presence in India; but they struggle to find skilled workforce for production and maintenance of their high quality standards. Thus they prefer to follow the 200-year-old vocational training model of German, where practical training is combined with theory, thus allowing students to apply what they are learning on a daily basis. To enter a trade, in Germany, all trainees are first contracted by corporates as apprentices. They then go to school to learn the trade. Over 1500 trades are taught through this model with a fixed curriculum certified by the government. No institute can provide trade training, without being contracted by a company. 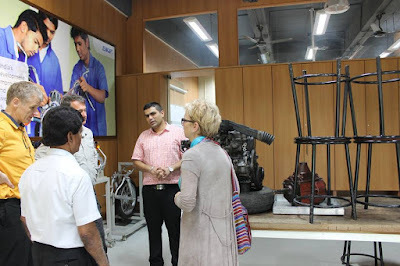 Through its VETnet programme, Don Bosco Chinchwad has partnered with German companies and is following the same model for vocational training. "Seventy-five per cent of our training is practical and 25% theory. In fact the institute has German trainers present on campus to provide world-class training for our students," Father Gonsalves said. The same students and their families become trainers through the Exposure and Dialogue Programme. "This is a business leader-training programme and our poor people are the real trainers," Fechter-Escamilla said. So what was it like for corporate leaders to make the transition to a modest way of life in India? A month before they arrived in India, participants met in Germany and were briefed about what to expect, about food, mosquitoes, how to use toilets and other concerns. They were also shown images of the living conditions. They had the option of opting out at that stage. "It is a frustrating process to convince big leaders to go through this experience. This year we were expecting more, but finally got six on board. This shows that it is not an easy task but its also not survival training, so we provide bottled water and mattresses and chose a family that is not very precarious," Fechter-Escamilla said. "We call our participants 10-years-later and they still remember their house lady and these kind of personal interactions, have lasting impressions and are very durable. Decision makers do not have the time to repeat this kind of a training experience, so if we do it, it has to have a long term effect," Fechter-Escamilla said. 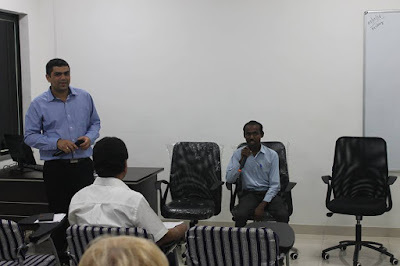 EDP 2016 proved that all German participants were content with the provisions at Don Bosco Chinchwad, as they stressed that the centre was thinking from the perspective of both the students and the corporates, as it adapts services to the needs of the companies. While the corporates in Germany benefit from the programme by getting access to a skilled workforce, the biggest beneficiaries are the underprivileged youth, as they learn skillsets that would stand them in good stead not only today, but through life.